Starting your plants from seed can be an extremely rewarding and cost efficient way to grow annuals and vegetables. It is a good opportunity to choose from the abundance of varieties there are out there. For example, many nurseries will only carry a couple varieties of basil, where in a seed catalogue you can choose from half a dozen or more! Starting from seed outdoors can be a tad daunting but given the proper instruction and a little TLC anyone can do it! What you need are your seeds, a garden hoe, watering can or hose on a fine mist, piece of lumber, and a hand trowel. Each seed contains a small amount of stored energy that the germinating plant uses to push through the soil into the sunlight. If the journey though this soil is too far because the seed was planted too deep, or to difficult because the soil is compacted, the little plant run out of gas before it ever sees the light! The smaller the seed the smaller energy reserves so make sure you don’t plant your seeds to shallow or deep. Read the back of the packet for planting depth requirements. After reading packet, use the back of a garden rake to make the seed bed smooth. This makes it easier to make sure the seeds are all planted at the same depth. Remove and pebbles or large bits of soil. Make a furrow to sow your seed in. You can use a piece of lumber for this to get a straight line at the depth you want. You can also draw a line in the soil, just make sure your are consistent with the depth. Sow your seed. After, fill the furrow by dribbling a handful of soil into the furrow, crumbling any lumps as you go. Gently pat the soil to make sure it makes contact with the seeds. 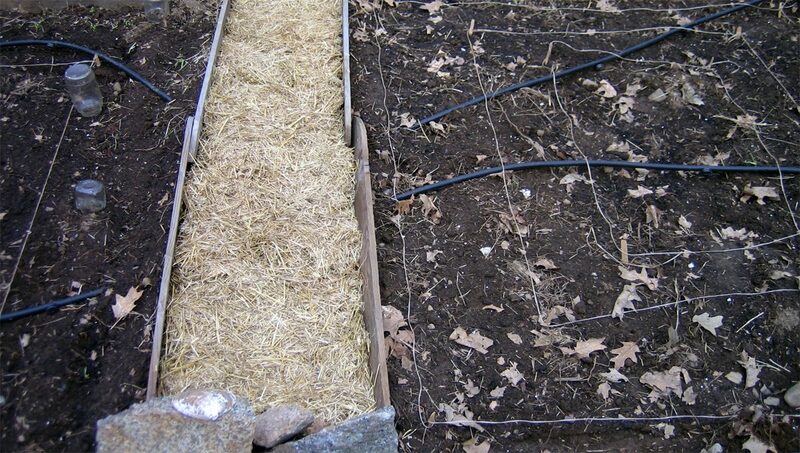 Don’t pack too hard.Third step is to do this to your entire garden! Make sure you drink plenty of water and use your abs! ‘Label the row so that you know what you planted. Mark with a string along the furrow. This will allow you to notice what is a weed and what is the seedling. Weeds and Seedlings often look VERY similar, so marking a line will allow you to notice what should stay and what should be pulled up. Water the bed VERY gently, but evenly and thoroughly. Check the moisture daily. The goal is to moisten the bed but not make it soggy. The first week or so water with a gentle mist so the seeds stay where they were planted. Remember: Every seeds have different requirements for germination so make sure you read the back of the seed packet carefully!